With the last signing of the off-season for Asseco Resovia, they have picked up Rafał Buszek from Zaksa. Similar to the signing of Mateusz Mika, Resovia is acquiring a player who is returning to the club after some time away. Buszek spent the last three seasons in Zaksa where he won PlusLiga titles in 2016 and 2017 and the Polish Cup in 2017. The Polish outside hitter has played with Resovia on three other separate occasions (2010-2011, 2012-2013, 2014-2015). Buszek has helped bring Resovia throughout his career. He was on the last Resovia team to win the Polish PlusLiga back in 2015. He also hoisted the trophy with the club in 2013. In addition to the success on the domestic level, Buszek won a silver medal in the CEV Champions League with Resovia in 2015, losing to Zenit Kazan in the final. He also has a gold medal from the 2014 FIVB World Championships and a bronze medal from the 2015 FIVB World Cup with the Polish National Team. Buszek is one of the 8 players brought in by Resovia for next season. 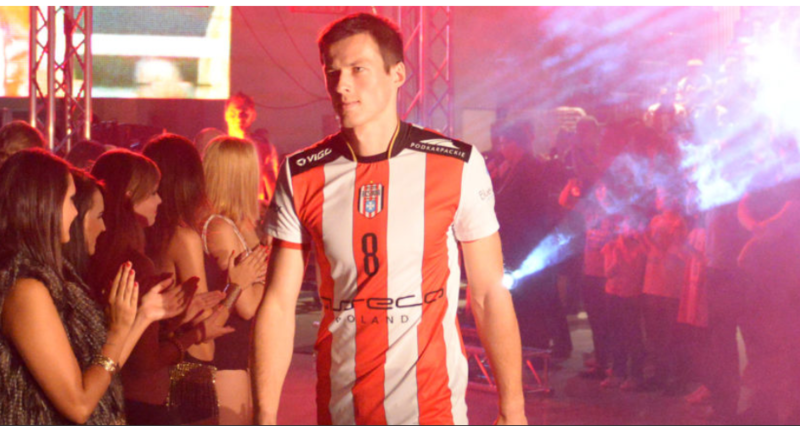 As mentioned earlier, Mika returns to the club along with current Polish teammate from Lotos Trefl Gdańsk, Damian Schulz. Buszek also joins Dave Smith and Kawika Shoji from the United States, Nicolas Szerszen and Rafael Redwitz from France, and Luke Perry from Australia. Resovia, winner of 7 Polish championships, is looking to bounce back from a 6th place finish in the PlusLiga playoffs in 2018.